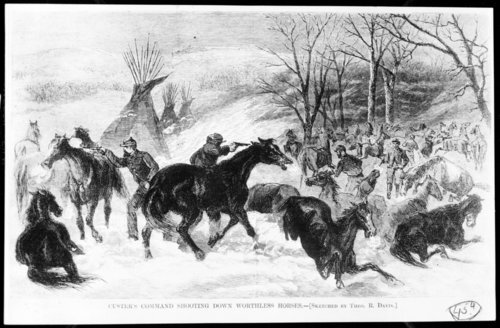 An illustration of General George Armstrong Custer's men shooting horses after the Battle of the Washita which occurred on November 27, 1868. This illustration was published in Harper's Weekly on January 16, 1869. Funds for digitization provided by Mr. Steve Peckel in memory of William Chalfant.